Learn how monitoring technologies for cold chain logistics have evolved from “physical” data collection with temperature loggers to “touchless” data collection with Bluetooth temperature sensors to “actionable real-time visibility” using IoT. Have temperature data loggers officially reached their expiry date? No. But, soon they will! Temperature data loggers aka data loggers or temperature loggers have been around for decades and were the first major sensor revolution in cold chain visibility. They provided shippers with temperature audit trails of shipments at warehouses and in-transit, and enabled the goods receivers to decide whether the products they received were safe for use or not. So, what is the problem with temperature data loggers? The problem with data loggers is that they provide post-shipment trails, which means that you get information about your shipment but can’t do anything about it. 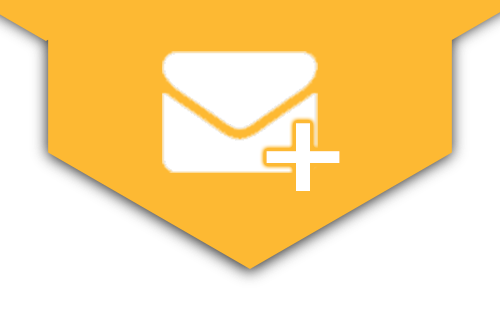 You cannot rescue it, nor can you ensure that a replacement is shipped to your customer promptly. Data loggers are a reactive solution requiring physical touch like an USB cable to extract data at the end of a trip. Bluetooth Low Energy (BLE) or Bluetooth Temperature Sensors on the other hand have the potential to offer you touchless data extraction upon trip completion by using a wireless gateway hotspot like a smartphone, but they too do not provide real-time data. The need of the hour is actionable real-time visibility for cold chain professionals to be proactive with their cold chain operations. This is where IoT helps. 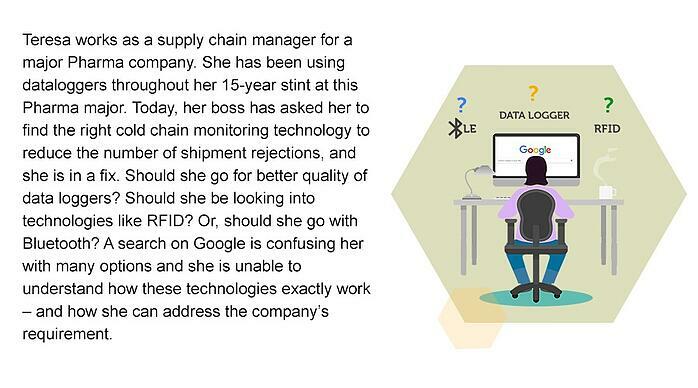 To enable managers like Teresa to reduce the number of temperature-controlled product rejections, let us see how each of these monitoring technologies impact cold chain management. Data loggers are all about physically collecting data after trip completion. Temperature loggers or data loggers are portable devices which weigh about a couple hundred grams and are the size of an external hard-drive. They travel with your goods or shipments and provide you with a post-shipment audit trail, so your receiver can verify the integrity of temperature sensitive goods like your vaccines, food, or produce. How Do Temperature Data Loggers Work? Temperature loggers use thermistors or thermocouples to sense and record the temperature at regular intervals. They have a storage memory which records the data captured at a regular interval — usually every 15, 30, or 60 minutes. Some data loggers have the ability to capture humidity too. Upon shipment completion, data can be extracted by plugging in a USB data cable to the temperature logger. The data logger software, installed on the receiver’s system, then reads and plots the temperature data (along with humidity if that feature exists). It calculates parameters like Mean Kinetic Temperature (MKT) to let the receiver know whether the goods meet the required quality and compliance standards. Extracting data from temperature loggers typically takes between 15 to 30 minutes per data logger and is often a Manual process – assuming your receiver already has the software installed, if not, you will have to deal with having the data logger returned. Without real-time data, you will not be able to prevent your products from getting spoiled – both at the warehouse or in-transit. You only know that it has gone bad once the shipment has reached the destination. The manual process of extracting data using data cables not only make it time consuming (especially if the deliveries are milk-runs), but it can also put the remaining goods in the vehicle at risk while the verification is being completed. Data loggers didn’t work out for Epigamia, a manufacturer of Greek yogurt, due to this very reason. Learn what Epigamia did instead. A data cable and software (corresponding to the data logger’s brand) needs to be installed by the receiver at their premises. You cannot add new delivery locations to match your shipping patterns on-demand. The receiver needs to “always” have the right infrastructure to read data before receiving your first temperature-controlled goods consignment. Even with infrastructure in place, a system defect can put the goods that are waiting on the delivery truck at risk of exposure, while you extract data for its approval. This is referred to as “delivery risk” in cold chain management. 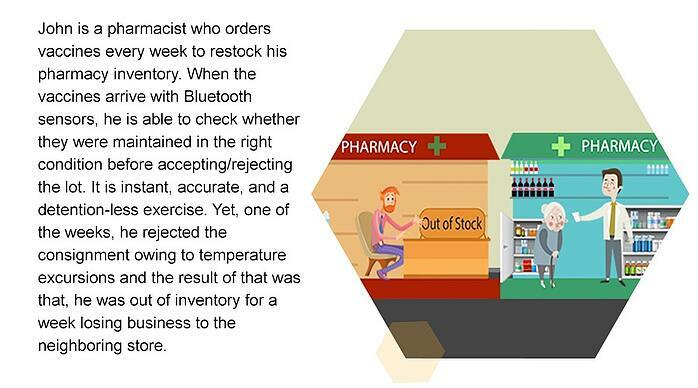 Read about the 10 types of Risks That Can Interrupt Your Cold Chain Risk Management Program. Each brand of data logger has its own software. Most data loggers, up to this day, do not work on the cloud because they require data downloads using a cable. Your receiver not having the right software can delay things. Bluetooth Low Energy (BLE) Temperature Sensor Beacons or Bluetooth Temperature Sensor Beacons are little BLE tags which are about the size of your keychain. They work similar to data loggers except that the data extract process is wireless. Bluetooth temperature sensors form the second generation of cold chain monitoring technologies. How do Bluetooth Sensor Beacons Work? Bluetooth temperature sensor beacons work on Bluetooth Low Energy (BLE) technology. They are similar to data loggers when it comes to logging data, but they are smaller and their transmission is more efficient. They need a gateway hotspot which receives the sensor readings and uploads them to a cloud using data plans or Wi-Fi. The gateway hotspot adds a location tag to the picture using GPS or cellular triangulation to verify which location the data was captured at. Such gateway hotspots can be devices like the Bee or smartphones. 1. They lower detention at destinations. 2. There is no need for infrastructure like cables required at destinations — a smartphone would work. 3. They have the ability to extract data in the middle of the trip using a smartphone, if needed. Bluetooth temperature sensors can carry additional sensors like humidity, shock, tamper, etc. Although, Bluetooth temperature sensors are touchless when it comes to extracting data and need no infrastructure, they still cannot provide real-time shipment insights. RF or Wi-Fi based data loggers, being alternate technologies to Bluetooth that are prevalent in the market, are similar to Bluetooth temperature sensors. They are touchless when it comes to data extraction, but can still provide real-time actionable information about the integrity of the shipment. Further, a different type of infrastructure is required for RF or Wi-Fi based readers. You need RFID readers or the receiving location needs to be Wi-Fi enabled. Wi-Fi is especially a problem in rural areas and also where IT teams of companies provide restricted Wi-Fi access. Bluetooth temperature sensors need to be turned into a real-time cold chain monitoring solution, so you can action on events in temperature-controlled logistics before it is too late. This is where the power of IoT comes in. Being proactive with your cold chain goes beyond monitoring your goods in real-time, it requires doing so in a wireless, touchless manner using the Internet of Things (IoT). It is the ability to foresee what will go wrong with the condition of your goods (like temperature, humidity, etc), where it will go wrong (the location), and what you should do when something goes wrong. What Can Real Time IoT Monitoring Do for Your Cold Chain? 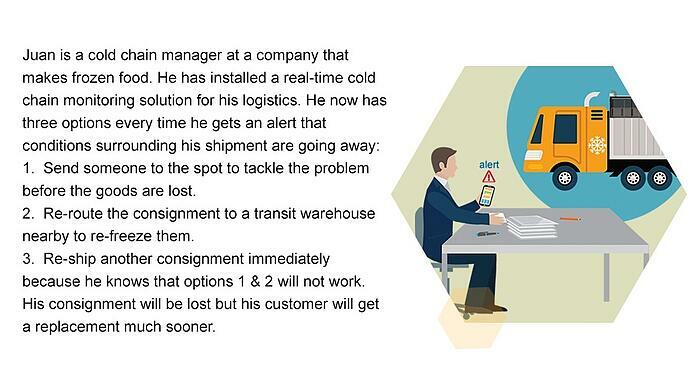 Real-time cold chain monitoring can turn you from an auditor to a problem-solver. 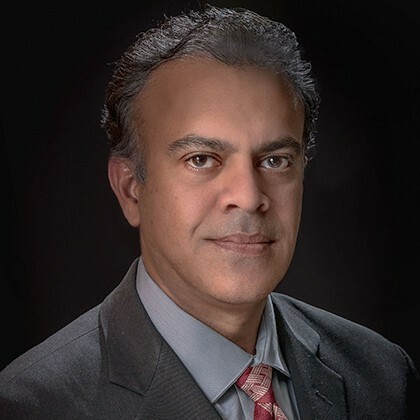 To be proactive like Juan, you need to leverage the power of IoT to know not only where and how your shipment or goods are doing in real-time, but also what is it that could put them at risk of spoilage, contamination, or theft. How do you get such an IoT solution for your cold chain? You can start with a Bluetooth temperature sensor and build on it. IoT or the Internet of Things is not a new concept. It is the outcome of using the right technologies to enable things to talk with each other and to us (humans). You can piece together your cold chain monitoring IoT solution using Bluetooth temperature sensors and some other components. A good IoT solution should cover data collection and analytics to enable you to act precisely when you have to. You need a portable gateway hotspot which resides with the goods in a warehouse or travels with it, transmitting the data collected by the Bluetooth temperature sensors which sense the condition of your packages. Connectivity also becomes important in relaying this data promptly for decision making (data analytics). The most important aspect in building an IoT solution for your cold chain application is the data analytics itself. It is about making sense of data, and making sense of it at an extremely granular level while still telling you how to run your cold chain broadly. 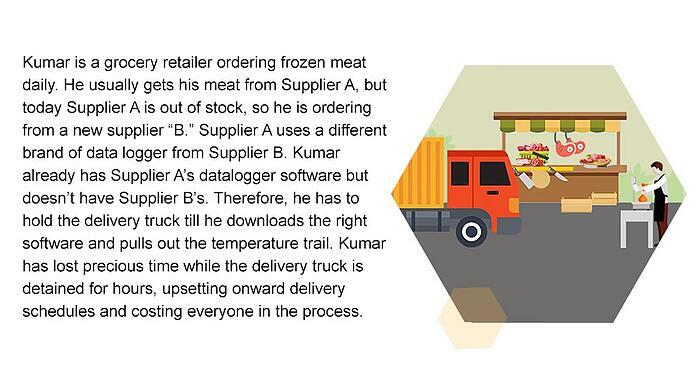 It involves the analysis of your past cold chain logistics patterns, stitching them together with external data streams, and so on, to inform you on the action to take in a situation. If your truck has stopped on a highway, knowing that the temperature is going up is not enough. You need to know why it has stopped, whether you have a chance of rescuing your goods or not, and how it is going to affect your customer and the rest of your supply chain events. Re-shipping before a product arrives damaged. Dispatching emergency crews to fix a cold chain gap at a warehouse or in your logistics. Changing the thermostat setting to compensate for excursions that happened during one part of the journey. With IoT + Blockchain, you can run an Always ON, touchless, wireless, transparent, and secure cold chain operation. The next big question is: What is the investment to get one? To help enterprises be proactive through cold chain monitoring at a low-cost, Roambee created the industry’s first parcel-level, cold chain visibility solution with Bees & BeeBeacons. It is a pay-as-you-go service which removes all the complexities of IoT from a user perspective.